Banking on our skilled professionals, we are engaged in manufacturing and supplying Moulded Rubber Component for our valuable clients. With the support of our experts, these are precision designed in strict compliance with international standards of quality and are made available in varied specifications to suit requirements of buyers. Our provided range is acclaimed by our clients for its extra-ordinary features. 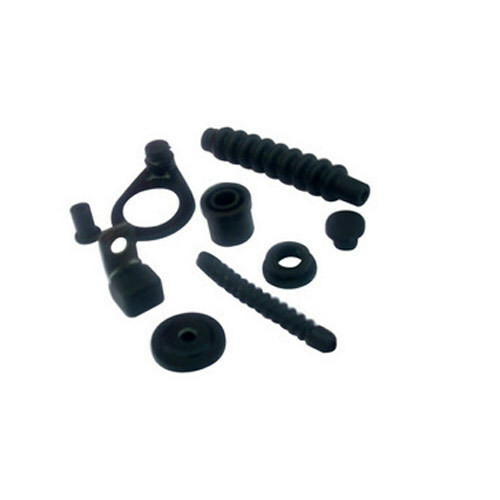 Established in 2006, Gauri Plastic Industries, are a renowned company engaged in Manufacturing of premium quality Pin Connectors, Rubber Components and much more. Our products are acknowledged for their easy installation, durability, dimensional accuracy and rust resistance features. Furthermore, we make utilization of progressive technology in the manufacturing of these products. The objective of our company is to deliver flawless variety of the products to the customers, for which we have engaged a separate quality controlling unit.